Avery Truitt aches for true love-the kind she once shared with Prince Colin. Can she dare to hope for happily ever after, or is a fairy-tale ending beyond reach? College volleyball star Avery Truitt has not seen her former flame, Prince Colin of Brighton Kingdom, since he suddenly pushed her away five years ago. But now, the sadness of losing her father and the joy of her sister Susanna's pregnancy have brought Avery back to Brighton just in time for Cathedral City's enchanting Christmas season. Avery knows she can't avoid seeing Colin-now the Kingdom's most eligible bachelor-whether or not her heart is ready to relive the pain. But seeing him again might bring her the closure she needs after all this time. Can Colin convince Avery to meet him at the chapel on Christmas morning-as tradition dictates-or will Avery run back to her St. Simons home and pursue a coaching career as planned? 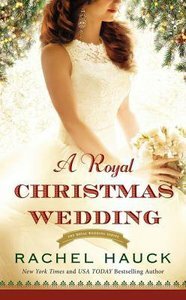 About "A Royal Christmas Wedding (The Royal Wedding Series)"